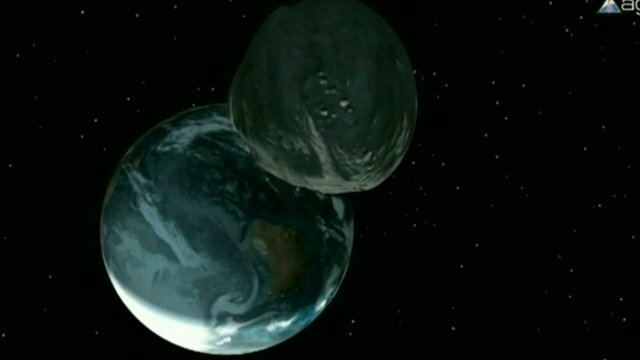 Moment asteroid passed by Earth Jump to media player An asteroid as large as an Olympic swimming pool has raced past the Earth at a distance of just 27,700km (17,200mi), the closest ever predicted for an object of that size. Asteroid passing 'unusually close' Jump to media player Jodrell Bank's Tim O'Brien explains just how "really unusually close" an asteroid passing the Earth will get, and how scientists are so sure it will not come any closer. 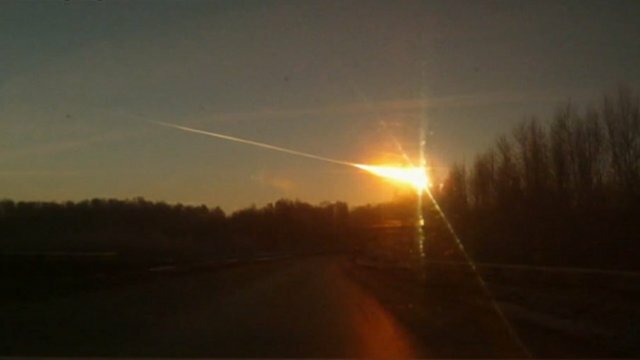 Meteor strike 'a rare event' Jump to media player A meteor crashing in Russia's Ural mountains has injured at least 500 people, as the shockwave blew out windows and rocked buildings. Asteroid set for record near-miss Jump to media player An asteroid as large as an Olympic swimming pool will race past the Earth on Friday at a distance of just 27,700km (17,200mi) - the closest ever predicted for an object of that size. 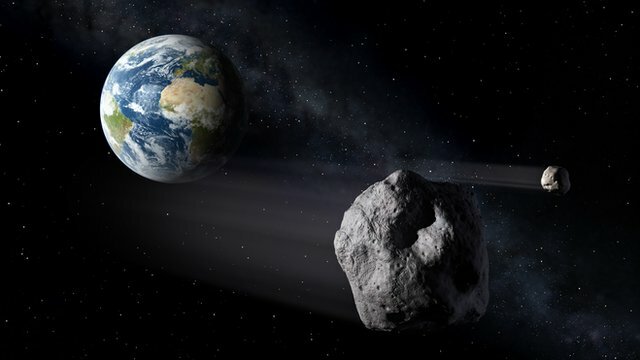 An asteroid as large as an Olympic swimming pool has raced past the Earth at a distance of just 27,700km (17,200mi), the closest ever predicted for an object of that size. It passed far closer even than the geosynchronous satellites that orbit the Earth, but there was no risk of impacts or collisions. 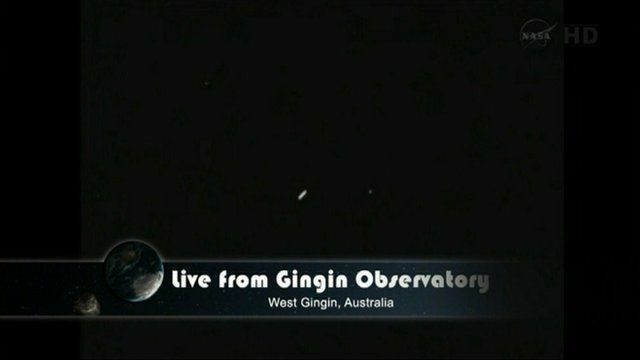 Its closest approach was at 19:25 GMT, with Nasa broadcasting the moment live. For regions in darkness, it is expected to remain visible until about midnight (00:00 GMT) through good binoculars or a telescope.